Melitta Professional Coffee Solutions is the specialist for professional coffee serving in the food service sector. Its core business is the manufacturing and global marketing of filter coffee machines and fully automatic coffee machines for the preparation of coffee specialties. Melitta Professional Coffee Solutions also boasts its own, international customer service organization. Melitta Professional Coffee Solutions sells and services equipment and coffee in over 50 countries world-wide through an extensive network of subsidiaries and partners. Among its customers are leading hotels, restaurants, fast-food and coffee-shop chains, hospitals and catering companies. Please contact us for more details on our products and for information about our local sales and service partners. Melitta Bentz invents the „Ur-Filter“. The typical red-green brand packaging is invented and distinguishes Melitta – a branded company – from its competitors. The typical filter paper is created and patent-registered. 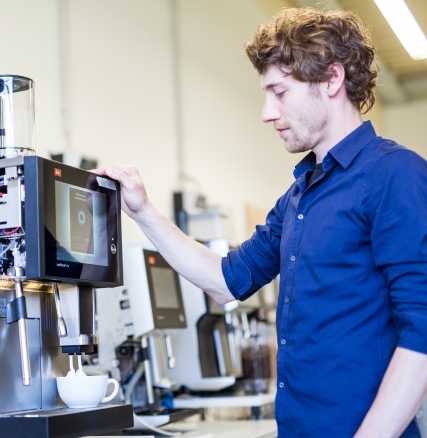 Melitta steps into the coffee market. 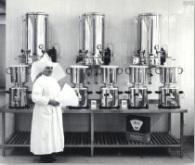 The catering business becomes an independent division of the Melitta group. From July 01, 2014 Melitta SystemService is called Melitta Coffee Professional Solutions. Melitta Professional Coffee Solutions is member at HKI.